On the eve of Colombia’s presidential election, we asked Afro-Colombian and indigenous leaders about what their priorities are for whomever is inaugurated on August 7. All stated that the new Administration must urgently implement the FARC peace accord, dialogue with the ELN, uphold prior government’s agreements with ethnic groups and guarantee their right to prior, free, informed consent on policies and economic projects that affect their territories. The Ethnic Chapter in the FARC peace accord is a major step forward for guaranteeing the protection and advancement of ethnic rights. It makes sure that all the sections of the peace accord have a differentiated ethnic and gender focus. While overall abuses related to internal armed conflict are down since the signing of the accord, conflict and humanitarian emergencies continue in Afro and indigenous concentrated areas namely Choco, Valle del Cauca, Cauca, and Narino. As such, finding a politically negotiated solution with the ELN guerrillas, dismantling illegal armed groups and advancing specific Constitutional Court orders designed for Afro-Colombian and indigenous peoples remain critical. Communities residing in the historically marginalized, remote areas of the country that were traditionally abandoned by the State have high hopes that the peace accord and Court rulings can reparate the harm done and set a more equitable and favorable future course for ethnic minorities. For these communities to advance, their precarious labor contracts and access to dignified work must improve. Major stumbling blocks are weak health, social services, pensions and benefits for persons who are disabled while doing manual labor. The 2017 pacific civic strikes in the port city of Buenaventura and Quibdo show that the dynamics in this communities have changed. In the case of Buenaventura, it will be difficult for any government to impose large scale economic projects without buy in from the local populace. The outcome of the first round of the Presidential elections demonstrated a high number of votes for Gustavo Petro in Colombia’s periphery, conflict affected areas where the majority are Afro and indigenous zones. 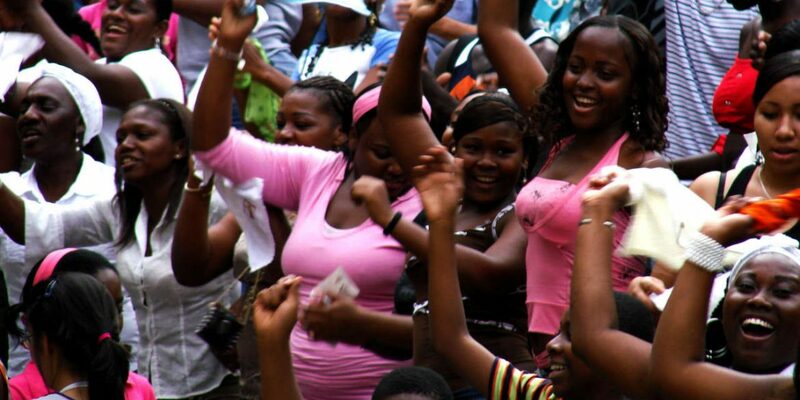 The long-standing grassroots based Afro-Colombian and indigenous organizations, Asociación de Consejos Comunitarios del Norte del Cauca (ACONC), Asociación Nacional de Afrocolombianos Desplazados (AFRODES),Autoridad Nacional Afrocolombiana (ANAFRO), Centro de Pastoral Afrocolombiano (CEPAC), Consejo Laboral Afrocolombiano (CLAF), Conferencia Nacional de Organizaciones Afrocolombianas(CNOA), Foro Interétnico Solidaridad Chocó (FISCH),Proceso de Comunidades Negras en Colombia (PCN), Red Nacional de Mujeres Afrocolombianas (KAMBIRI) and the Organizacion Nacional Indigena (ONIC) have stated their support for leftist-candidate Gustavo Petro’s Colombia Humana. So have the indigenous political entities of MAIS, AICO and ASI. Making Petro one of the few candidates in history where the indigenous have coalesced so strongly behind. The Petro campaign announced that Afro-Colombian leader, Francia Marquez of Cauca, would form part of their cabinet. Such an announcement is a major breakthrough in a country where cabinets rarely include ethnic minorities. However, there are Afrodescendant politicians and individuals outwardly campaigning for Ivan Duque. According to traditional Afro-Colombian leaders, such persons have made the political calculus that Duque will win so they want to guarantee their livelihoods during his Administration. Furthermore, false news, disinformation about the candidates, political clientelism and favors are dynamics strongly affecting the Pacific Coast. When asked about a potential Ivan Duque presidency, concern was expressed over the fate of the peace accord and dialogues with the ELN. Despite the FARC accord, Choco, Valle del Cauca, Narino and Cauca are experiencing violence related to dissident FARC groups and killings of social activists with impunity. While many blame the outgoing administration of President Juan Manuel Santos for not robustly advancing the promises of the FARC agreement, all agree that altering the peace process would be a major step backwards for ethnic communities. Restarting the aerial fumigation program to address coca cultivation and combating the drug and illegal economies with a hard-line security approach would be reverting back to the old Colombia that repeated cycles of violence, increased inequities and kept minority perspectives out of politics. Also there is concern that the previous consultation mechanism will not be applied or respected. Given the candidate’s despective remarks towards Afrodescendants and belief that he will be influenced by former President Alvaro Uribe, there is concern that ethnic minorities rights will not matter in his government. Several persons expressed fear of return to the accelerated abuses that took against the indigenous during the Uribe period. Also the former President’s assertion “ni un metro de tierra más para los indígenas- not un meter of land more for the indigenous.” There may be a retrocesion in terms of advances Colombia made related to racial discrimination and the UN Decade on Afrodescendants. Further, there is a fear that a Duque presidency would not advance transitional justice or efforts to combat corruption of persons aligned to Uribe. Corruption efforts are likely to focus on former members of the Santos administration. Given the prominence this issue has had in these elections, the Odebrecht and other scandals, addressing corruption is needed to improve Colombia’s institutions. Alternatively, when asked about a Gustavo Petro presidency, there are concerns about his capacity to advance his agenda. Polarization is a big factor, as well as, a congress whose majority represents the political and economic elites. There also exists the view that such elites are willing to use violent force to impede a leftist government from operating. Some believe that Petro’s proposals in terms of extractive industries and other powerful economic sectors will be faced with much opposition from the traditional parties and business sectors. For the indigenous interviewed, there is an expectation that a Petro presidency will advance the State’s agreements with the indigenous. If that does not happen, the indigenous will organize and mobilize as they have with all prior governments. Others think, Petro will face so many obstacles to governance that politics as usual, which is unfavorable to the collective land and rights of ethnic minorities, will reign the country. At the end of Sunday, we will know the results of the second round of Colombia’s Presidential election. What is guaranteed is that, whomever, wins will be faced with organized Afro-Colombian and indigenous movements that they will need to contend with. Author Gimena Sánchez-Garzoli is the leading Colombia human rights advocate at the Washington Office on Latin America (WOLA). Ms. Sánchez is an expert on peace and illegal armed groups, internally displaced persons, human rights and ethnic minority rights.